I'll see if the arms fit T.Hawk without me having to frankensprite a new torso set---thanks for the suggestion. Yes we need more characters with guns in mugen.... make it realistic the shotgun should take a heavy amount of life. 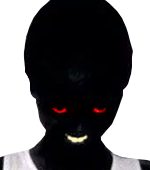 Again, thanks for all the support thus far---the 13th weapon has been decided, and it's somewhat ironic considering yesterday's Magma Dragoon release..... heh heh heh. I now have assistance in the form of someone helping to sprite Rick's weapon swing animation (this individual will be receiving a credit in the readme for their efforts), and more spriting will be done over the next few weeks. 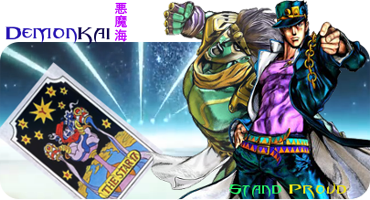 I know it needs some work, but it IS a lot better than the original stand pose, right? RIGHT?! Wherever theres chaos, I'll be there. It's not bad, but the muscles in the arms look like they ungulate and swish around with each movement, like bags of water stuffed inside the sleeves of a long sleeved shirt. His muscles are rippling with the power of the Terror Mask. I keed, I keed.....I know there are a few problems to iron out, but at least his chest isn't collapsing in on itself this time. The main problem with the arms is inconsistent shading---if I can fix that, the "bags of water stuffed inside shirt sleeves" effect will be negated. I was considering doing that sort of an intro, but the problem is I couldn't think of someone to represent pre-mask Rick. Right, update time: supaman2525 is now the OFFICIAL co-spriter for Rick Taylor. Fun times. Also, considering the idea of Rick putting on the mask and transforming before the match: is there a way to code that so that it ONLY happens at the start of the first match in Arcade/Survival mode? You could do it via a variable that doesn't reset (is set to 0 by default, but changes to 1 when the intro is finished), but then he'd never perform that intro again until MUGEN is restarted. In essence, the intro would be require var(#) to equal 0 in order for it to play, while the other intros (should there be any) would require that variable to equal 1 (so that intro always plays first). Unless I'm wrong, having a variable that doesn't reset between rounds is persistent between matches, too. After much deliberation (read: thinking about it each time I bathed and sat on the toilet over the course of the last few weeks), I've decided to record the dialogue for the Terror Mask myself and run the sound clips through Audacity to alter them just enough so that it sounds more like something menacing and less like me shouting into a microphone. The sound rips I already have will be save for another project, of course (three guesses to what it'll be). Also, I've redone the palettes for Splatterhouse and Splatterhouse 2, so the new palette chart containing the fixed versions of those two palettes will be posted tomorrow. MASSIVE UPDATE: Acey from IMT has given permission for Hulk 2099 to be used as the base for Berserker Rick! EVEN BIGGER UPDATE: First Look Mutant Rick and Berserker Rick! UPDATE: For those who remember the INIMITABLE Andres Borghi's take on Rick Taylor, great news: I've received permission from Andres himself to borrow code and other elements from his Rick. UPDATE #2: Who says you only need one Rick? First of all, apologies for bumping the thread, but there's a reason for it: the coder who agreed to help me with this project has, for lack of a better term, quit. Thus, I turn to you, people of MUGEN Fighter's Guild, to ask if anyone here might want to help me get Rick Taylor coded for a Halloween 2015 release. The sprites are being sent to me next week, I've pared down my custom voice clips to a more managable selection, and I'm willing to give top billing to whoever codes Rick in the readme. It's a shame that your coder decided to quit. Were there any updates with the sprites? Posting and showing them might help you out with your search for a new coder. Rest in peace, Tamez. Thank you for everything. The sprites will be up next week---hopefully, enough will be done to get a good set of GIFs together as a sort of proof-of-concept thing. The SOUNDS, meanwhile, are pretty much locked down.